Spring is a time of transition from the cold, snowy days of winter to the warm, sunny days of summer, so it’s not surprising then that the weather on St. Patrick’s Day, which is celebrated on March 17, is a bit mischievous. Temperatures on St. Patrick’s Day have ranged from a low of -12°F to a high of 88°F. Data from the region’s 35 major climate sites shows that the highest St. Patrick’s Day temperature was 88°F in Washington, D.C. Ten other cities have also hit at least 80°F on that day. 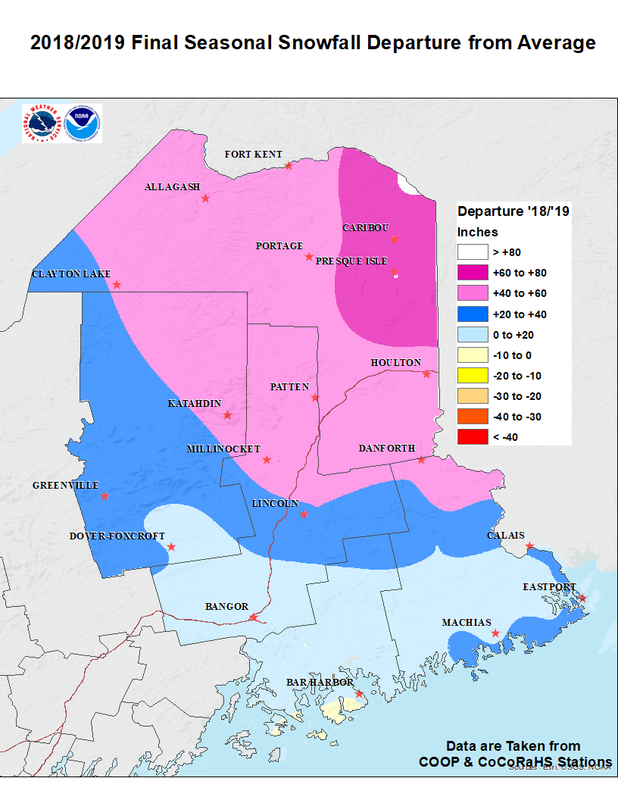 Caribou, ME, ranked as the coldest spot with a low of -12°F, followed closely by Concord, NH, at -10°F and Burlington, VT, at -8°F. Three other sites, Buffalo and Albany, NY, and Portland, ME, have also experienced subzero temperatures on St. Patrick’s Day. It’s almost guaranteed that Caribou, ME, will have at least an inch of snow on the ground on St. Patrick’s Day. Click to enlarge. You might have to dig through the snow to find the pot of gold at the end of the rainbow in Caribou, ME. 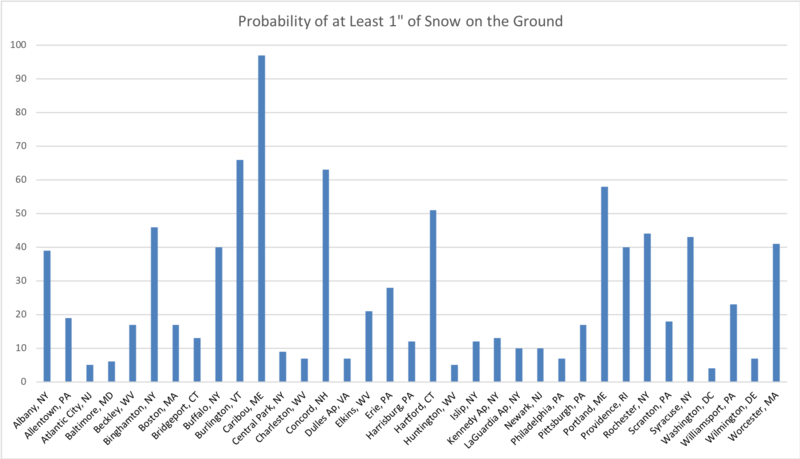 The site has a 97% chance of having at least an inch of snow on the ground, especially with all their snowfall this year! However, Caribou does not hold the title for “Snowiest St. Patrick’s Day.” That honor goes to Buffalo, NY, which received 18 inches of snow from a major storm in 1936 (the same storm that contributed to historic flooding in the Northeast). In fact, no other major climate site has had over a foot of snow on that day. Buffalo, NY, is the only site to have over a foot of snow on St. Patrick’s Day.